Each pack contains 50 scales. Scales can measure vertical and lateral motion and oral jetting. Scales measure from 3mm to 65mm vertically. 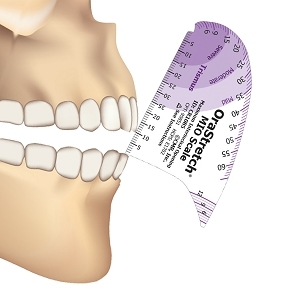 The OraStretch® Maximum Interincisal Opening (MIO) scales are disposable paper measuring scales, specifically designed to allow patients and providers to measure the opening, movement and function of the mouth and jaw. 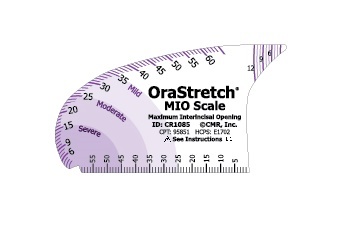 The OraStretch scales come in packs of 50 and are easier to use on patients with severely limited openings. Rotational ruler measuring up to 65mm. Mirror rotational ruler for easier self-use. Trismus guide for assistance in diagnosing jaw hypomobility. Micro-scale for small openings of less than 10mm, down to 2mm. Straight ruler for additional measuring options. 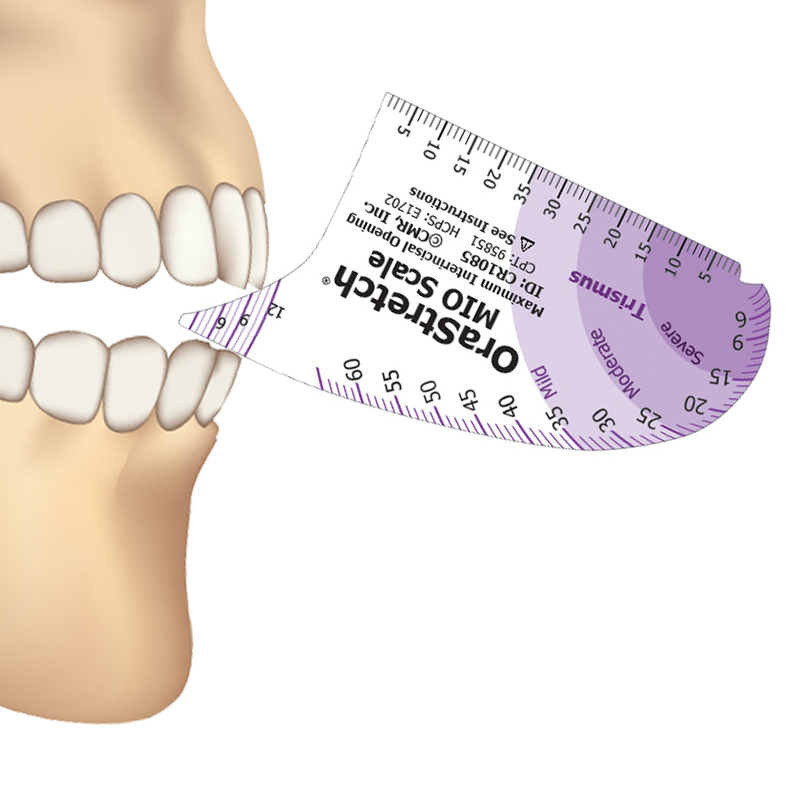 Jet ruler for measurement of protrusion and retrusion of the jaw. 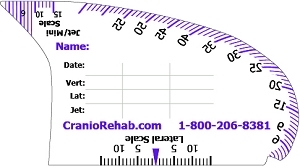 Lateral Scale for measuring side-to-side horizontal movement. Log area for recording patient info. 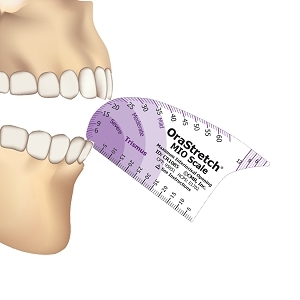 The OraStretch MIO scales allow the provider to better gauge the total movement and function of the patients jaw. Download a brochure on the OraStretch MIO Scales. 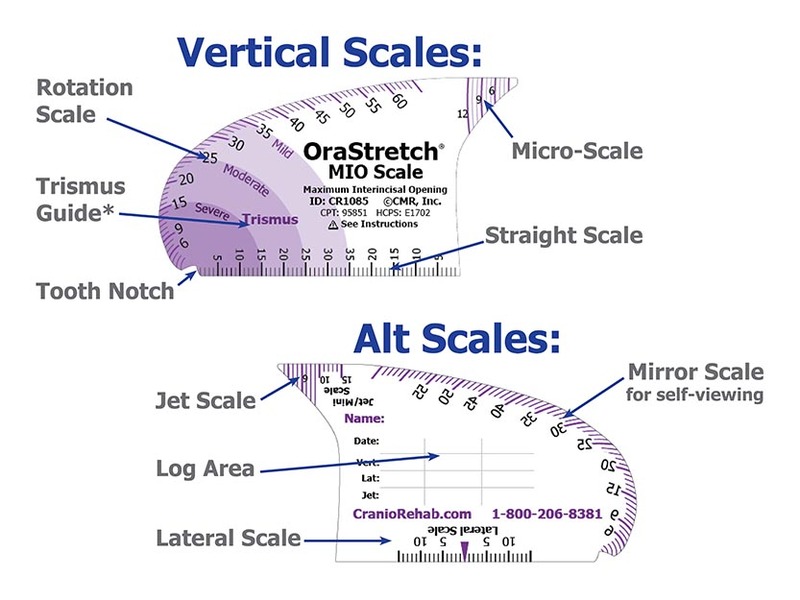 Download instructions for usage of the OraStretch® ROM scales here: OraStretch® MIO Scales Instruction Sheet.